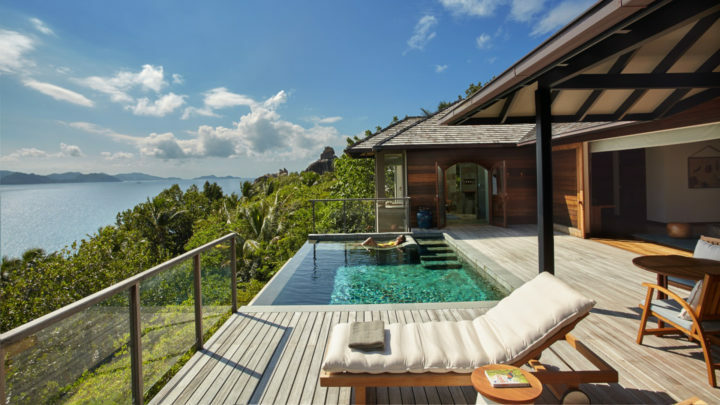 Discover Six Senses Zil Pasyon -an ecological jewel perched on Félicité, a private island in the Seychelles, where family memories await. Book a Two-Bedroom Pool Villa to receive a 20 percent rate discount and complimentary upgrade to all-inclusive. Discount applicable on room rates only. Offer based on four adults or two adults and three children sharing. Existing bookings cannot be cancelled and re-booked under this offer. This offer can only be combined with honeymooner’s benefits and arrive in style offer. Supplements may apply for some items.